Our May Ball has an excellent working relationship with Churchill Casino and it would be great to see that partnership renewed for another successful event. It all went perfect this year so we were very happy - we will be sure to recommend you to next years committee. Thank you for providing a really great casino service and I will definitely be passing on a positive recommendation to next year's committee when they're selected in October. We were really happy with everything and can think of no feedback apart from to keep doing what you have been! A huge thank you to you and your staff - you have all been so wonderful to work with and your staff were so professional and on it on the night so thanks to them! I will definitely be putting your contacts in for the next committee, which will be selected late next academic year! Can you beat the dealer? Stick or twist to get the closest to 21, but don’t go bust! How’s your poker face? Compete against other guests to bluff your way to the big money. Have a go at this simplified version and impress your friends when you next visit a Vegas casino! What’s your lucky number? Red or Black? Odds or Evens? Don’t get overwhelmed by the choice! The favoured game of 007 - "I admire your luck, Mr. Bond." 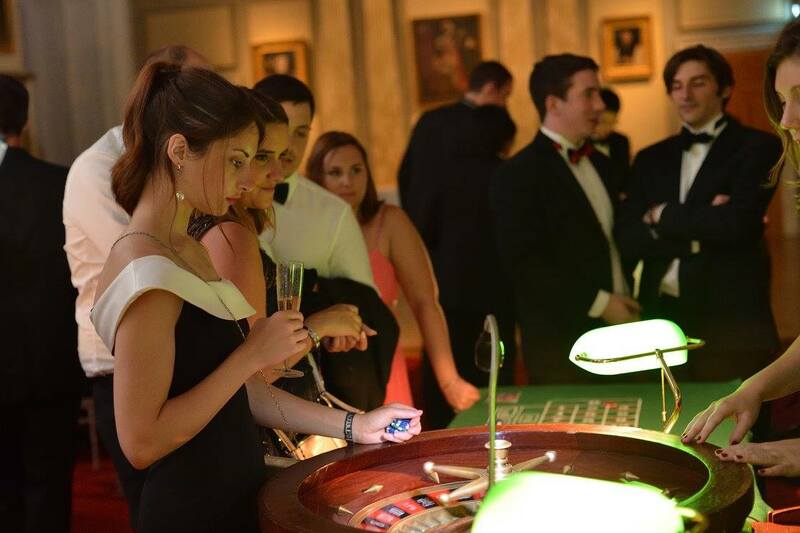 We offer three basic packages which each provide a balanced and varied casino for different event sizes. These packages can be extended with any number of additional games to make the casino as large as you want! Get in touch with us and give us an idea of what you would like and we can create the perfect set up for your event. Perfect for private parties all the way up to medium sized balls. We quite often double up on certain popular games, simply drop us a message! 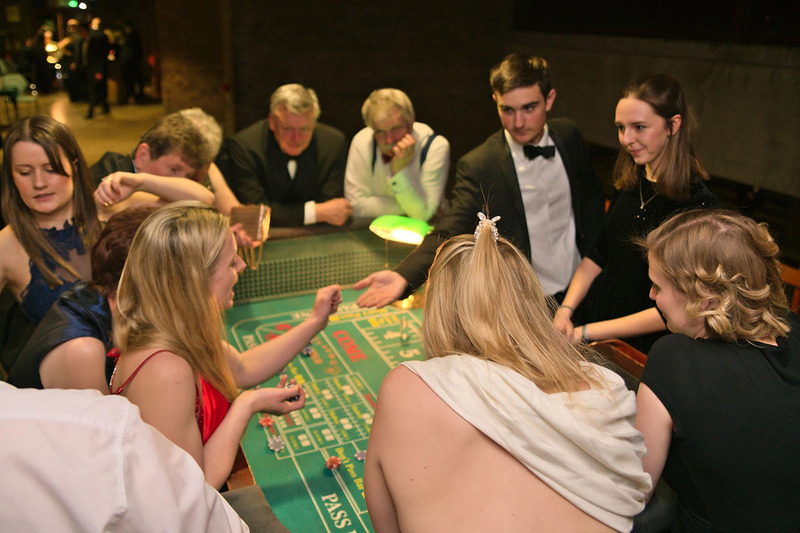 This is a package frequently used at the May Balls which provides a wide selection of games and with enough tables to cope with most balls. This is a package used at the larger May Balls which provides our ultimate selection of games for the maximum amount of guests. 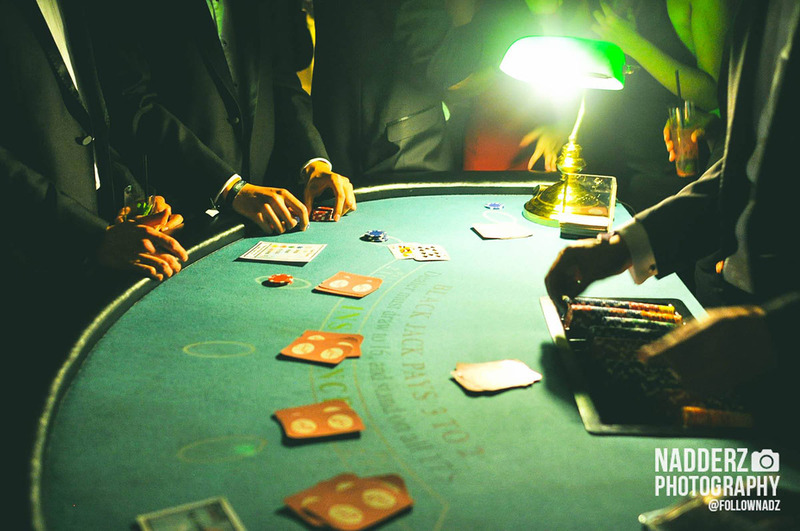 We can also provide as many poker tables and croupiers as required for your very own poker tournament! Normally we offer several knockout tables throughout the event, culminating in one winners table at the end of the night. These events are fun for the novice and for spectators but also provide an exciting rush for the more serious players. Churchill Casino is a Cambridge-based mobile enterprise with over 20 years of experience. Our croupiers are specially selected, not only for their expertise, but also for their ability to make your guests feel comfortable and bring the high-quality enjoyment of the casino to your event. We operate primarily in Cambridgeshire and London. If your venue is outside of these areas, please contact us for more information. Our games are regulated by the Lotteries and Amusements Act 1976 and therefore DO NOT use real money and cannot exchange chips for anything of monetary value. 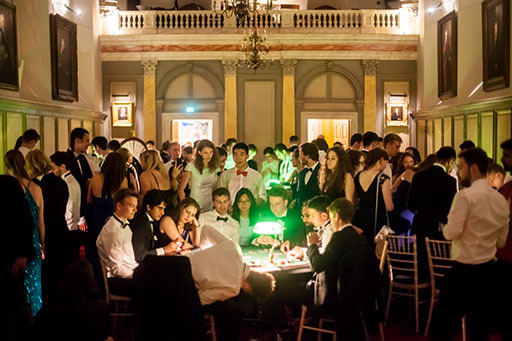 We have provided flexible and tailored packages to JCRs, MCRs, University societies, May Balls and Corporate events in Cambridge and across the country. 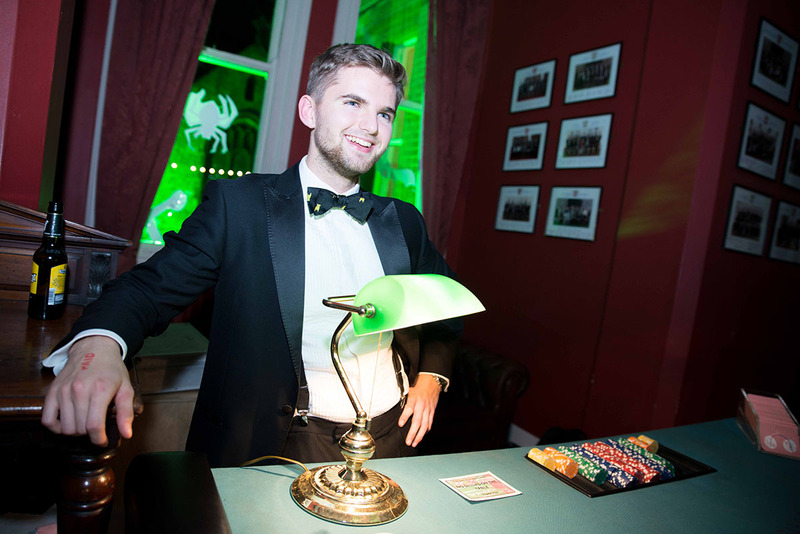 Last year we were employed at many of the Cambridge University May Week Balls and Events. 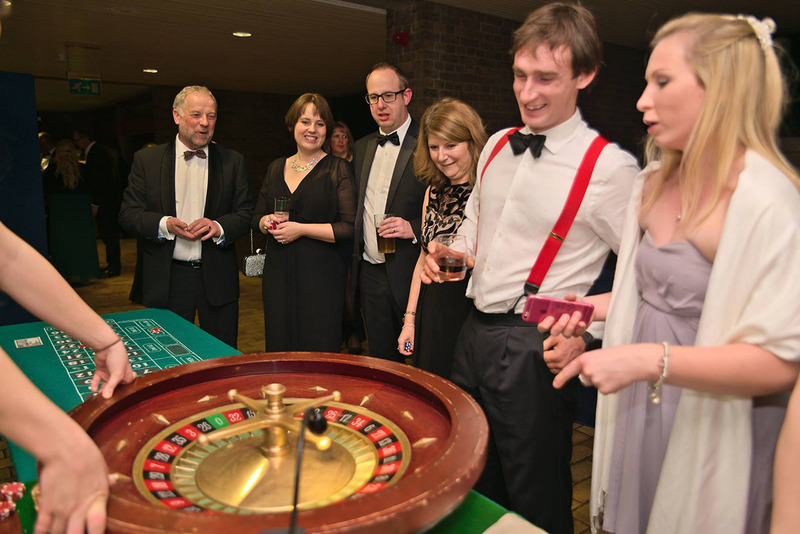 We have also run casinos at events for companies such as Deloitte, Dyson, Clifford Chance and the Royal Post Office. The Dealer goes over 21 or "busts". Things to remember: Picture Cards (Jack, Queen and King) each count as 10 points. An Ace counts as 1 point or 11 points, whichever is better for owner of the hand. All other cards have their numerical face value. Blackjack is a combination of an Ace and any 10 or picture card with your first two cards. It pays one and a half times your bet unless the dealer also draws Blackjack, in which case you have a "stand-off". Splitting: If your first two cards are of equal value you may split these to form two seperate hands. If you receive futher equal value cards on your split hands, you may split again to a limit of four seperate hands. Aces may be split to form only two hands. You will receive an additional card for each hand, however a wager equal to your original bet must be placed each time you split. Doubling Down: You may place an additional bet (not exceeding your original bet) if your first two cards total 9,10 or 11 (without aces). You will be dealt one additional card, and one additional card only, when you double. Insurance: If the first card dealt to the dealer is an ace, the dealer will announce "Insurance". You may then place an insurance bet of no more than half your original bet, to insure your hand should the dealer make Blackjack. An insurance bet is paid at odds of 2 to 1 and will only win if the dealer makes Blackjack. If the dealer does not make Blackjack the insurance bet is lost. Note: 5 card tricks do not count in Blackjack. Churchill Casino plays Texas Hold 'Em Poker on all our poker tables, using standard rules. At Churchill casino, the dealer never plays. A round disc known as a "dealer button", moves clockwise from player to player with each hand. The button marks which player would be the dealer if the deal were advanced from player to player as the game went along. Most Texas Hold 'Em Poker games start with the two players to the left of the dealer (the button) putting a predetermined amount of money into the pot before any cards are dealt, ensuring that there's something to play for on every hand. This is called "posting the blinds." Most often, the "small blind", the player to the left of the dealer, puts up half the minimum bet, and the "big blind" puts up the full minimum bet. Occasionally, Churchill Casino uses an 'ante' betting system. At the discretion of the dealer, a predetermined amount, the 'ante', is bet by all players at the table wishing to be dealt a hand, before any cards are dealt. This replaces posting the blinds. Players can now use any combination of seven cards, the five community cards and the two hole cards known only to them, to form the best possible five-card Poker hand. Texas Hold 'Em poker uses the same rules as standard five-card poker to determine who has the best hand, but better hands are more likely than with standard five-card poker, as the player is selecting the best five-card hand from seven cards. Straight Flush Any five-card sequence in the same suit (e.g. : 8, 9, 10, Jack and Queen of clubs; or 2, 3, 4, 5 and 6 of diamonds). Four of a Kind All four cards of the same value (e.g. : 8, 8, 8, 8; or Queen, Queen, Queen, Queen). Full House Three of a kind combined with a pair (e.g. : 10, 10, 10 with 6, 6; or King, King, King with 5, 5). Flush Any five cards of the same suit, but not in sequence (e.g. : 4, 5, 7, 10 and King of spades). Straight Five cards in sequence, but not in the same suit (e.g. : 7 of clubs, 8 of clubs, 9 of diamonds, 10 of spades and Jack of diamonds). Three of a Kind Three cards of the same value (e.g. : 3, 3, 3; or Jack, Jack, Jack). Pair Two cards of the same value (e.g. : 7, 7). High Card If a Poker hand contains none of the above combinations, it's valued by the highest card in it. Craps is one of the most exciting games in the casino. Churchill Casino plays craps slightly differently to other casinos, as almost everyone playing is a beginner, and we like to make it easy and uncomplicated. Hence we make sure all bets are removed at the 'end of the game' to allow easy understanding of the rules. We also divide the game into 2 clear phases and you can only place two types of bet in 'first phase'. Play starts off with a designated thrower, who throws the two dice down the table. If you are not throwing the dice you can bet on the thrower. A new game then begins with a new shooter. If the current shooter has made his Point, the dice are returned to him and he then begins the new Come Out roll. When the shooter has failed to make his or her Point, the dice are then offered to the next player for a new Come Out roll and the game continues in the same manner. The first player to place a bet on the pass line is the new shooter. The first roll of the dice in a betting round is the first Phase of the game called the Come Out roll - a new game in Craps begins with the Come Out roll. The game ends after one roll if the come out roll is natural (7,11) or craps (2,3,12). If a different number is rolled, then this becomes the 'point' and you move into second phase. The game ends when either the point is reached or a seven is rolled. When this occurs, all bets on the table win, lose or are 'pushed' back to the player. The dice are rolled across the craps table layout. The layout is divided into three areas - two side areas separated by a centre one. Each side area is the mirror reflection of the other and contains the following: Pass and Don't Pass line bets, Come and Don't Come bets, Place bets and Field bets. The centre area is shared by both side areas and contains the Proposition bets. Pass Line Bet: You win if the first roll (first phase) is a natural (7, 11) and lose if it is craps (2, 3, 12). If a point is rolled (4, 5, 6, 8, 9, 10), you move into second phase and the point must be repeated before a 7 is thrown in order to win. If 7 is rolled before the point you lose. The bet remains on the table until either the point or a seven is thrown, when the game ends. Don't Pass Line Bet This is the reversed Pass Line bet. If the first roll of a dice is a natural (7, 11) you lose and if it is a 2 or a 3 you win. A dice roll of 12 means you have a tie or push with the casino. If the roll is a point (4, 5, 6, 8, 9, 10), in second phase a 7 must come out before that point is repeated to make you a winner. If the point is rolled again before the 7 you lose. Like the pass line bet, the bet remains on the table until the end of the game. Come Bet: It has the same rules as the Pass Line bet. The difference consists in the fact you can make this bet only in second phase. After you place your bet the first dice roll will set the come point. On the first roll after the bet is placed, you win if it is a natural (7, 11) and lose if it is craps (2, 3, 12). Other rolls will determine the come point. You win if the come point is repeated before a 7 is rolled. If a 7 is rolled first you lose. If the original point is rolled, the bet is returned or 'pushed' to the player. Don't Come Bet: The reversed Come Bet. Before the come point has been established you win if it is a 2 or 3 and lose for 7 or 11. 12 is a tie. Once the come point is determined, you win if 7 is rolled before the come point is rolled again. Place Bets: This bet works only in second phase and is a single roll only bet. You can bet on a dice roll of 4, 5, 6, 8, 9 and 10. You win if the number you placed your bet on is rolled and lose if any other number is rolled. The bet pays out the following: 4 and 10, 7:1; 5 and 9, 6:1; 6 and 8, 5:1. Field Bets: These bets are for one dice roll only and are only allowed in second phase. If a 2, 3, 4, 9, 10, 11, 12 is rolled you win. A 5, 6, 7 and 8 make you lose. Field Bets have the following different payoffs: 2 and 12 pay double (2:1). Other winning dice rolls pays even (1:1). Big Six, Big Eight Bets: Placed at any roll of dice these bets win if a 6 or 8 comes out before a 7 is rolled. Big Six and Big Eight are even bets and are paid at 1:1. 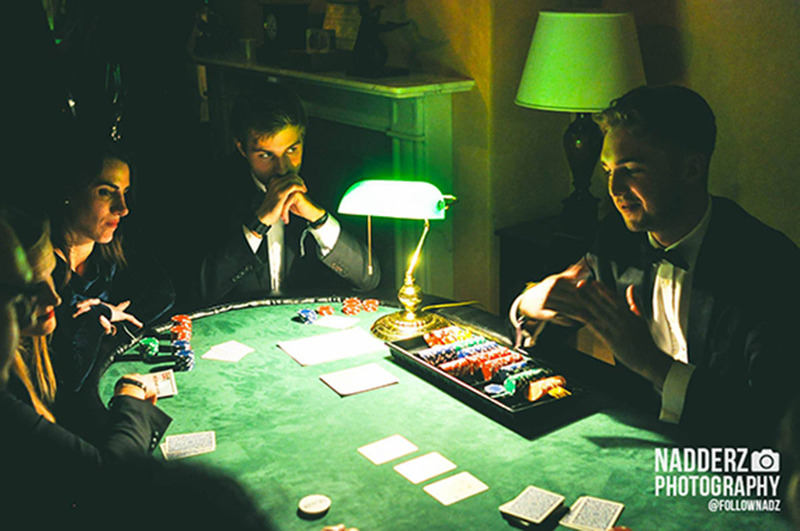 Players play against the house represented by the croupier also called the dealer, who spins the roulette wheel and handles the wagers and payouts. In Churchill Casino the wheel has 37 slots representing 36 numbers and one zero.